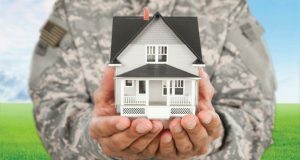 I work with active and retired Military buyers and sellers and I learned quickly that there are a lot of myths and misconceptions about the buying process for Veteran Buyers. This page is designed to provide accurate information for Veteran Buyers and dispel some of the misinformation. There are some extra steps that are added to the VA Lending Process, or a VA Contract that are designed to protect the Veteran Buyer. These extra terms and conditions will add extra time to the contract time frame and can impact the entire offer, so they need to be addressed before an contract is even submitted to the seller. A knowledgeable Realtor with VA Contract experience will seamlessly guide you through the entire buying process and negotiate the best possible contract for you. In fact, a good Realtor will make sure that your contract is written so that you pay less closing costs. Don’t risk losing the home of your dreams because your Realtor is not experienced with VA Contracts. The applicant needs to obtain a VA Home Loan Certificate of Eligibility (CoE), which is issued by the Veterans Administration. This does not guarantee the loan, but is the first step that any lender will require to start the process. You can apply for a CoE here – www.eBenefits.va.gov . This link will provide you with all of the evidence that you need to submit to to obtain your COE.